A huge congratulations to Mrs Goulbourn and her husband. 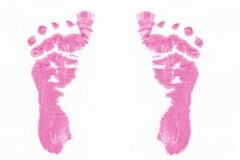 Mrs Goulbourn had a little baby girl, Imogen, this morning (16th January). Both mother and baby are well. Fantastic news – we are all thrilled and can’t wait to see little Imogen!